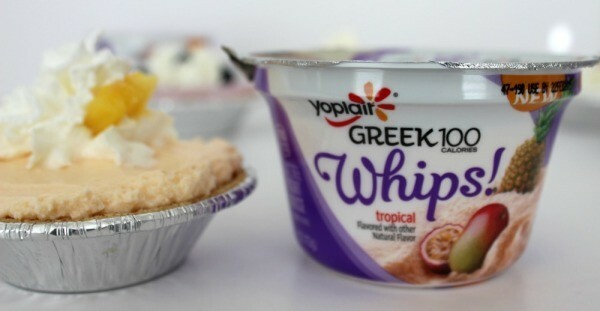 It’s time to sit back, kick up your feet and relax because it’s dessert time with new Yoplait Greek 100 Whips. I’ve always been a big fan of Yoplait Whips, the chocolate ones are my favorite. If you’ve been following this blog for any length of time, you know my family and I are big, huge, ginormous fans of dessert. I think I admitted at one point that we have it every night after dinner. If not, I just did. Anyway, we.love.dessert. Personally, I’ve been trying to be a little better about the dessert hour. My go-to dessert lately has been yogurt. Lots and lots of yogurt. Regular yogurt. Greek yogurt. Yogurt in smoothies. Man was I getting sick of ways to experiment with yogurt. 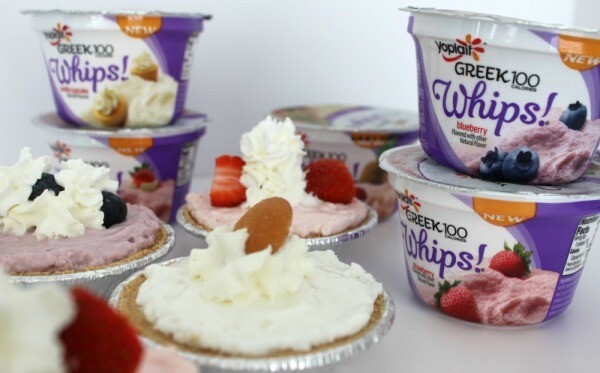 And then…Yoplait Greek 100 Whips came into my life. 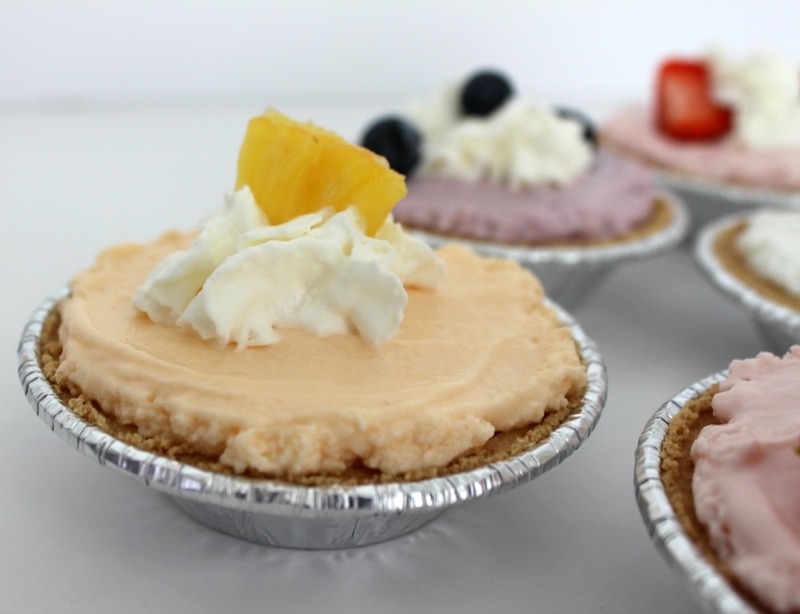 I am so excited to share how I turned these into a fun dessert for my family that we love. But first, let me tell you, they are already a dessert in a cup. No add-ins necessary! With flavors like Strawberry Cheesecake, Lemon Meringue and Vanilla Cupcake – all you need to do is open the lid, grab a spoon and dig in to the ligthweight, 100 calorie, smile in a bowl. Hungry yet? Oh just wait. Click HERE to SAVE $1.00 ON FIVE Yoplait® when you buy FIVE CUPS any variety Yoplait® Greek, Yoplait® Greek 100 or Yoplait® Greek 100 Whips!® yogurt. I decided to purchase several flavors of the Whips and see what I could do with them. And it hit me. 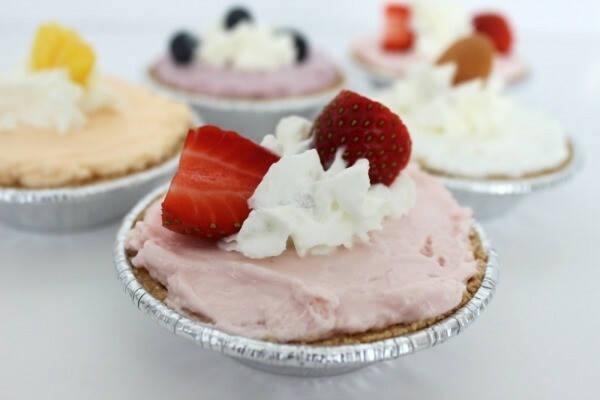 Mini Frozen pies. 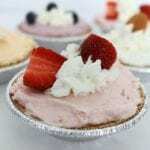 I purchased mini graham cracker pie crusts. 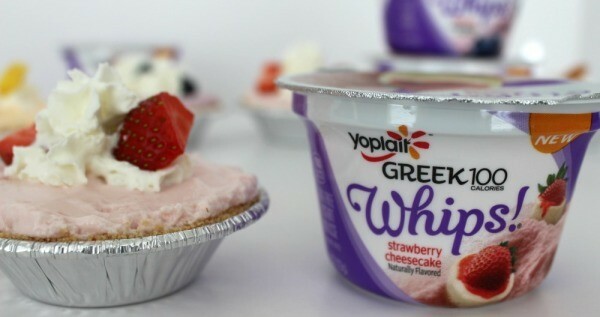 Filled them with the Yoplait Greek 100 Whips and froze them. After they were frozen, I topped them with whipped cream and either fruit or a wafer for the Vanilla Cupcake flavor. How were they? Oh my goodness. 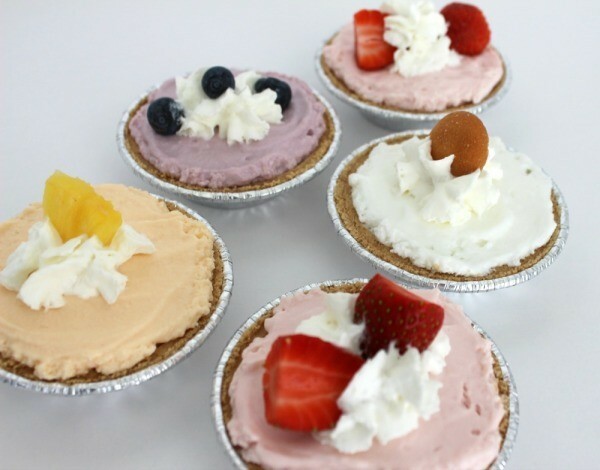 These little pies were delicious and refreshing and were a huge hit with my family. These would be perfect for a little girl’s Birthday tea party, a get together with the girls or just because you want a special treat. You definitely do not have to freeze these. I tried one not frozen and it was just as delicious. 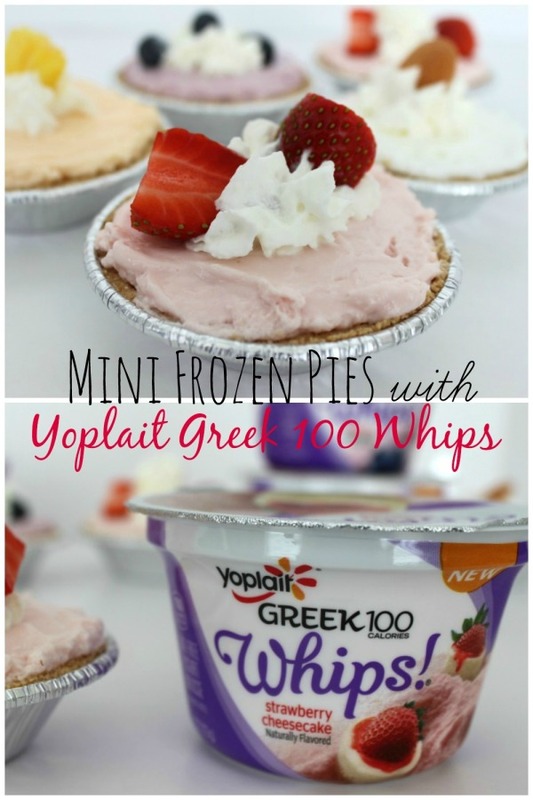 A delicious mini frozen treat with Yoplait Greek 100 Whips. 1. 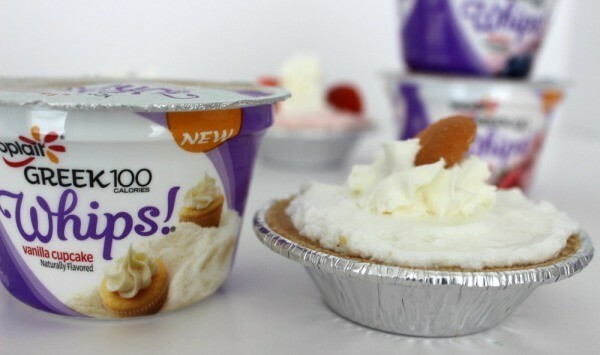 Fill each of the mini pies with a different flavor of Yoplait Greek 100 Whips yogurt. 2. Place on a cookie sheet and freeze for a couple of hours. 3. Garnish with whipped cream and fruit or wafer to coordinate with the yogurt flavor. What do you think? Are you ready to try these for yourself? For more great recipes, product information and of course the money saving coupon of $1.00 off FIVE Yoplait® visit here. 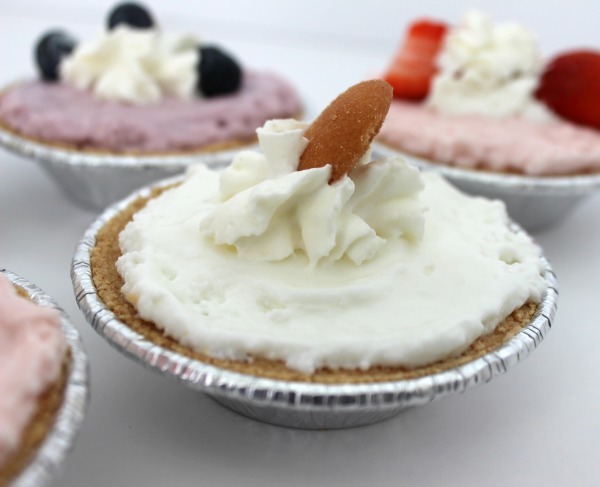 I love mini cheesecakes with these graham cracker crusts so this is a great recipe for the Yoplait yogurt. I love yogurt and I love cheesecake too. This is definitely healthier. I’m going to try it!